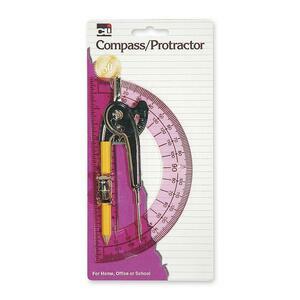 Drawing tool set includes a compass and protractor. The ball-bearing compass creates accurate circles up to 12" in diameter and comes with a pencil and inch/centimeter guide. Clear plastic protractor features an open center, sharply defined graduations and a 6" ruler.